Any assorted shells is our main shell components for making handmade products from the finest shellcraft makers in the Philippines. Raw shells is very important for making fashion jewelry, fashion accessories and home shell tiles and panels. Description: Mother of Pearls or MOP. Approximately 6"-8" in diameter. 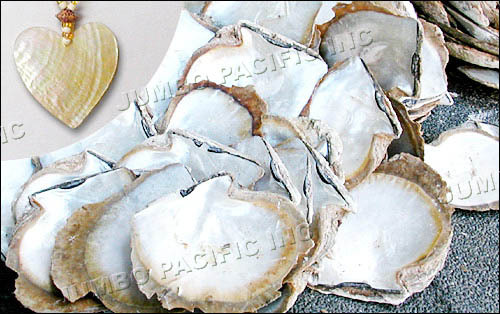 Description: Brownlip raw shells. Approximately 5"-7" in diameter. Description: Blacklip raw shells. Approximately 4"-7" in diameter.